Nothing is more American, more 4th of July, than potato salad. Too bad potato salad is often bland & boring. 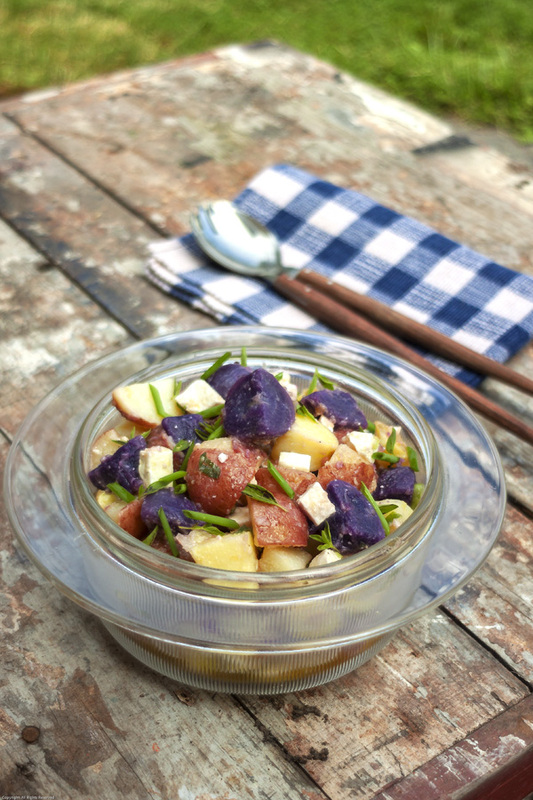 Why put up with boring when it’s so easy to liven up – and lighten up – potato salad with some bright, bold and refreshing flavors? We find that using fingerling or new potatoes gives the best results. Big, floury russets or all-purpose potatoes seem too soft, mealy and lacking in texture to work in a “dressed” potato salad where texture is important. 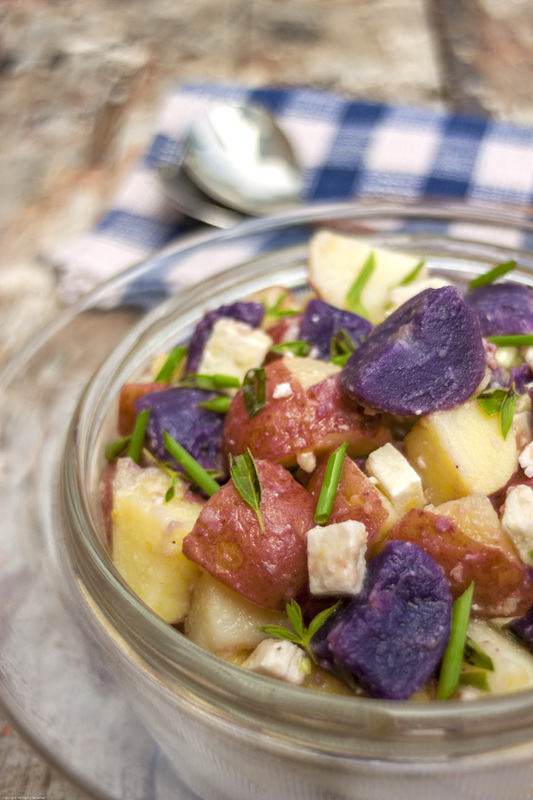 Waxy fingerlings or “marble” potatoes are firmer and stand up better when tossed with the dressing. They really do make this dish lighter and seem more like a salad and less like mashed potatoes. 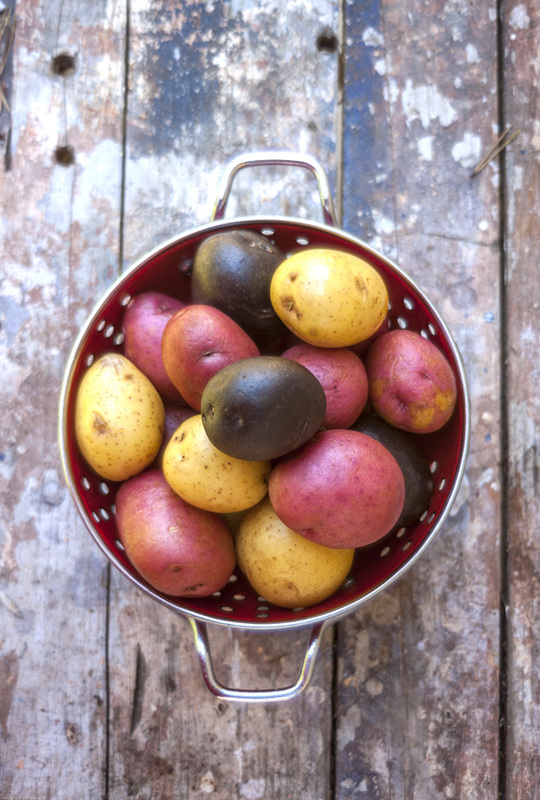 Place the potatoes into a large, heavy-bottomed pan and add sufficient water to cover. Bring to a low boil and cook for 25 minutes or just until tender when pierced by a knife. Drain the potatoes well and allow to cool slightly, and then cut into wedges. Whisk together the olive oil, lemon juice & zest, garlic, salt and pepper in a large bowl. Add the potatoes, green onions and feta cheese, tossing to coat. Cover and chill for at least 2 hours or up to 8 hours. Sprinkle with fresh oregano just before serving.